Today ONLY you can score this pair of New Balance Men's 247 Lifestyle Shoes for JUST $39.99 (Retail $89.99). The men's 247 offers a contemporary evolution of the shoe that set a new standard for modern sport style. 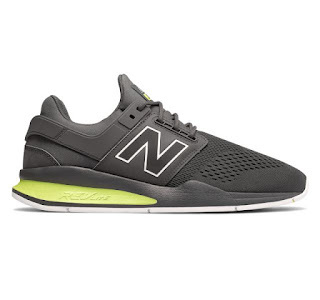 The same sleek, clean-lined with upper bootie construction features richer design details that nod to New Balance heritage, while the more exaggerated REVlite sole unit offers visual interest and lightweight support. The 247 takes inspiration from the past with style details that update it for the present. The ultra-lightweight REVlite midsole helps keep you comfortable in the office, at happy hour or during busy commutes.